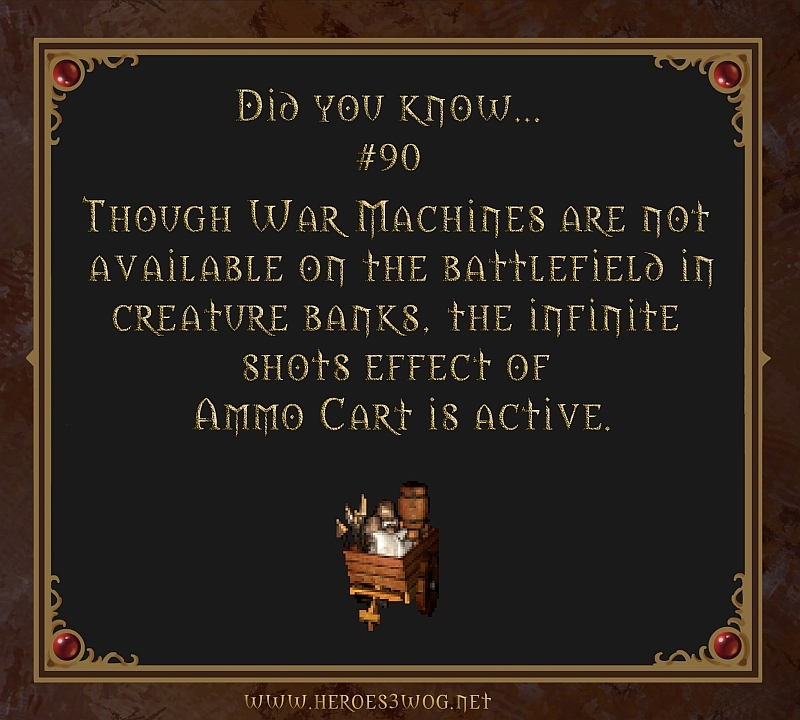 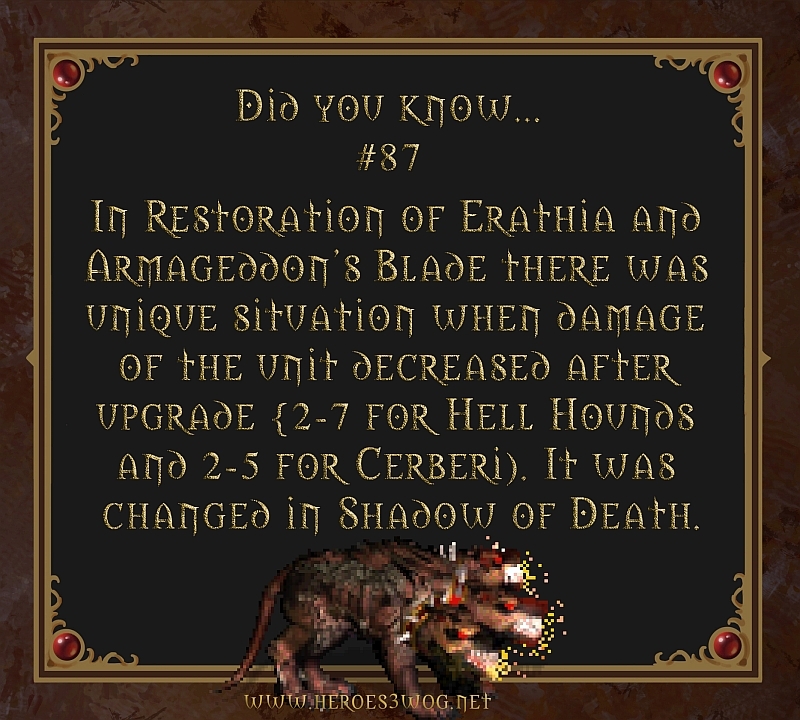 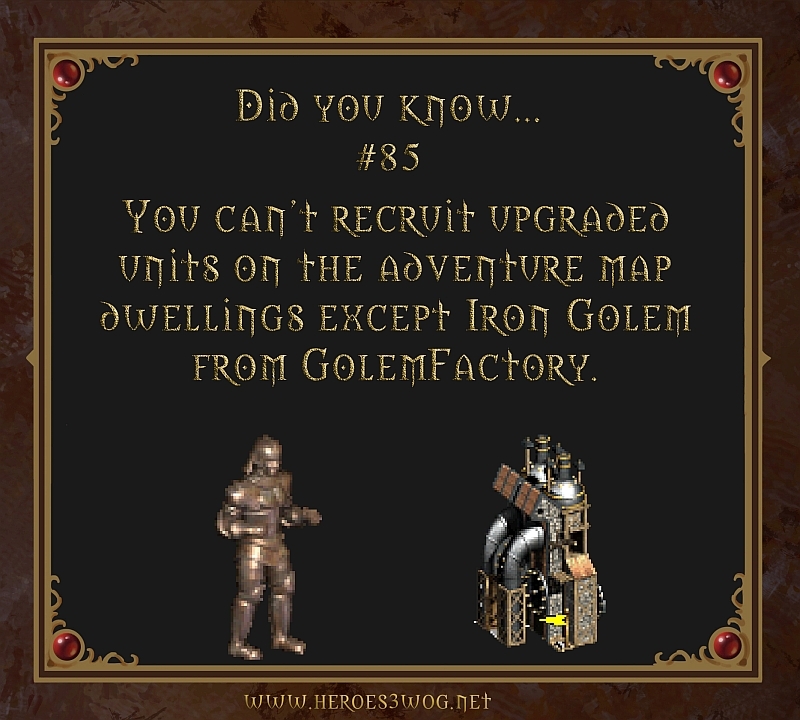 #90 Though War Machines are not available on the battlefield in creature banks, the infinite shots effect of Ammo Cart is active. 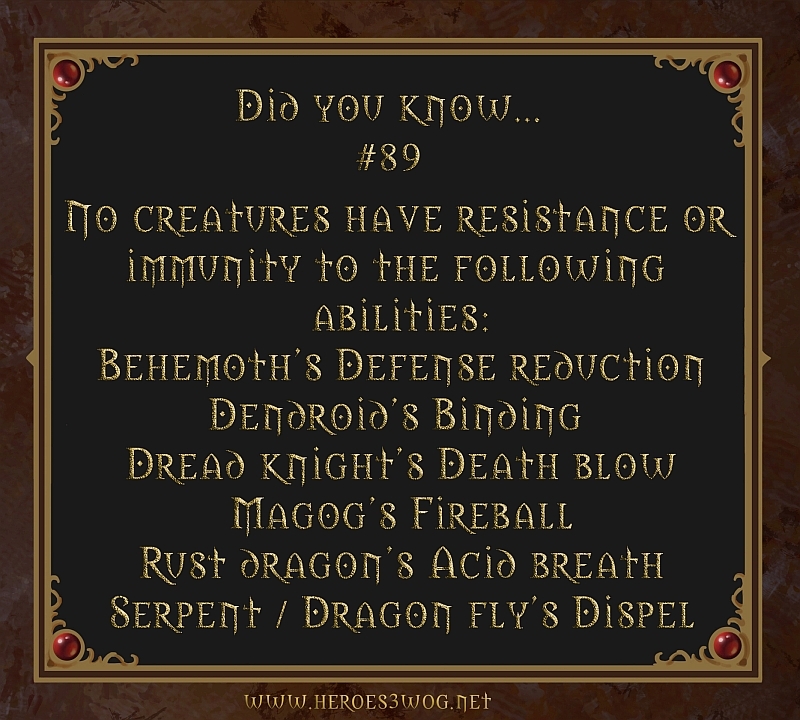 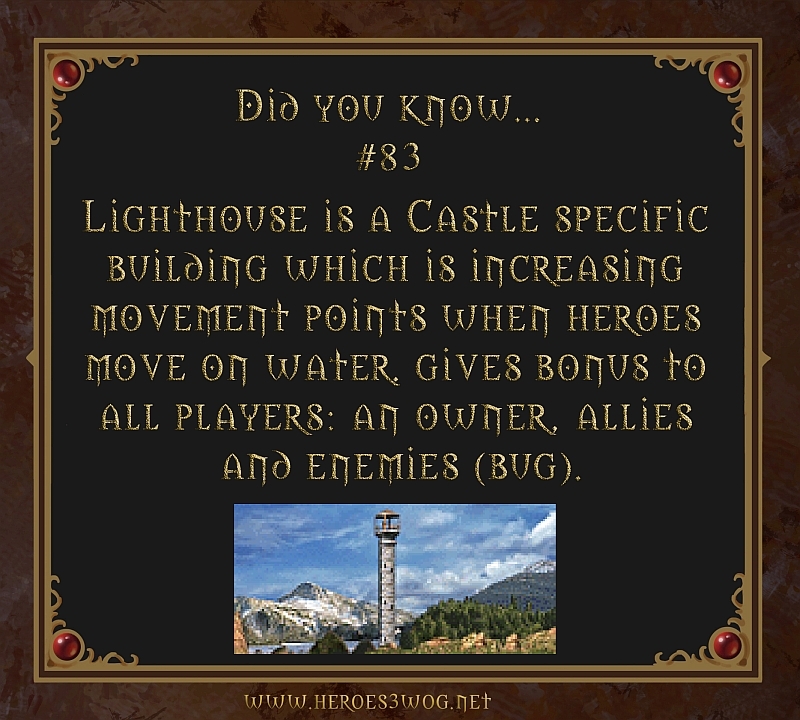 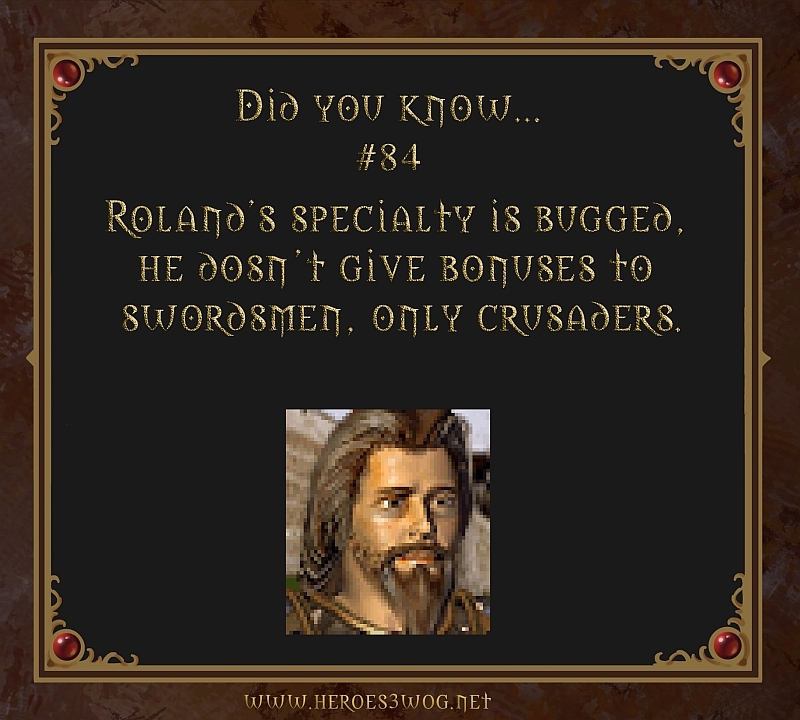 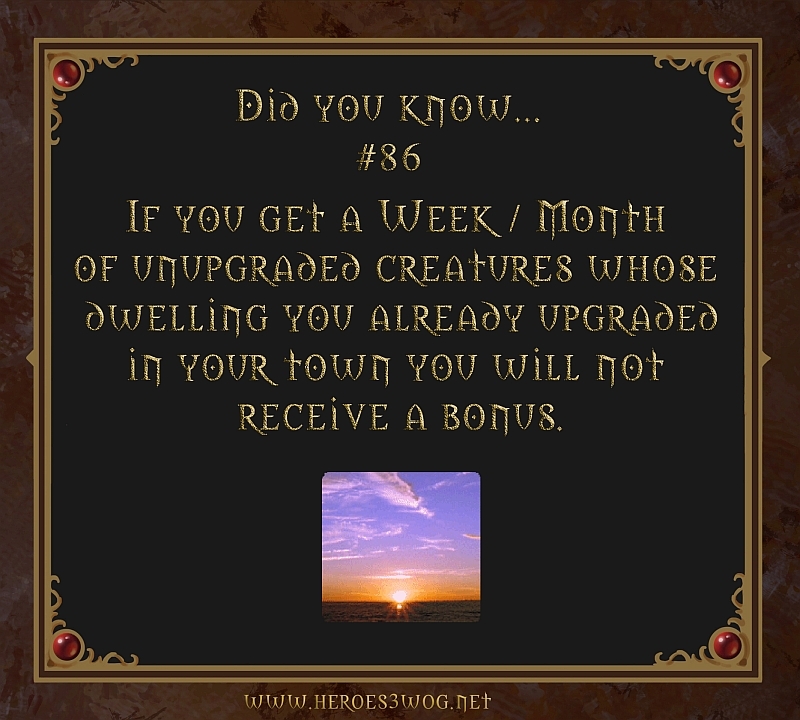 #89 No creatures have resistance of immunity to these following abilities: Behemoths defense reduction, Dendroids binding, Dread Knights Death blow, Magogs Fireball, Rust Dragon acid breath and Serpent/Dragon fly dispell. 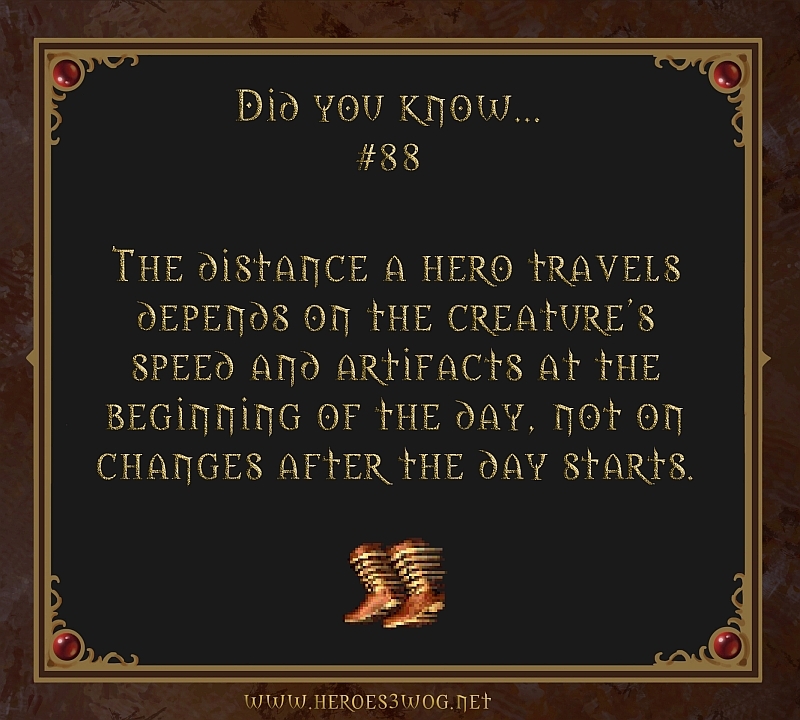 #88 The distance a hero travels depends on the creatures speed and artifacts at the beggining of the day, not on changes after the day starts.